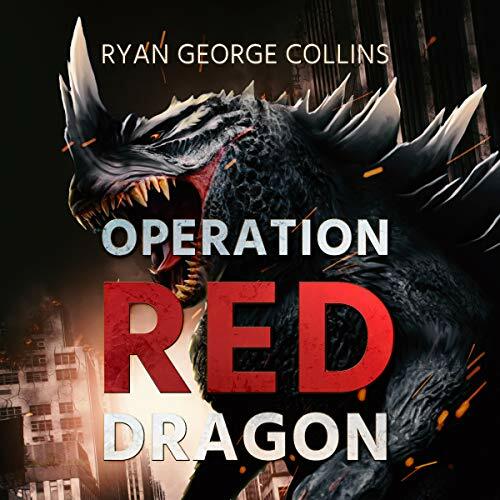 The year is 1964, and the top secret group Operation Red Dragon has been utilizing advanced technology and superhuman soldiers to keep Kaiju - prehistoric survivors and modern mutations of varying size and strength - from destroying humanity since the end of World War II. Theirs has been a constant struggle to keep these horrifying creatures at bay, and despite some close calls, the world has remained safe. The struggle is about to escalate, however. The Daikaiju - the largest, most powerful creatures in all of creation - are about to make this secret war very public, and the destruction from their fast-approaching battle will be catastrophic. Fortunately, the agents of Operation Red Dragon have a plan - not necessarily to prevent the fight, but to keep human civilization intact when the dust settles. For this plan to work, they need one down-on-his-luck reporter to serve as their witness...assuming he can cope with the absurdity of it all. If you enjoy kaiju, aka Godzilla type movies, then you'll probably appreciate this book. It's fun, and there will definitely be a sequel ( although the story stands on its own).